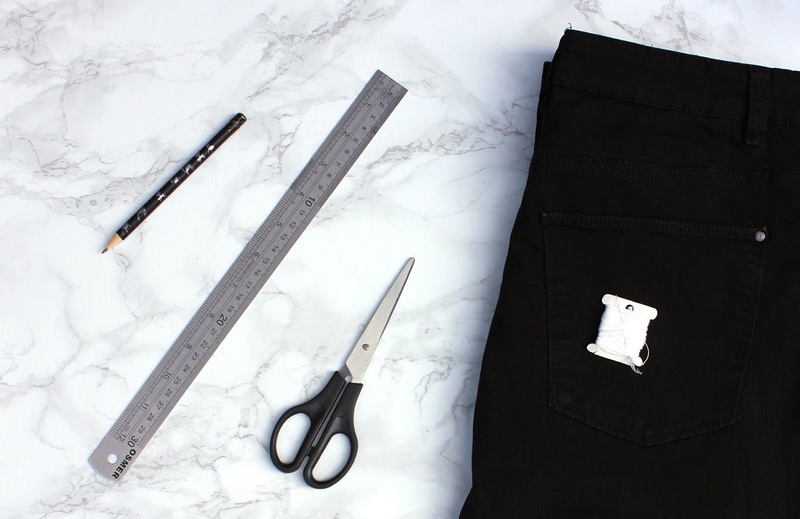 Decide where you want to place the crosses on your garment. Using the ruler and either a pencil or a fabric pen, mark the locations of the crosses. I spaced mine 2cm apart and just marked the location with a dot. 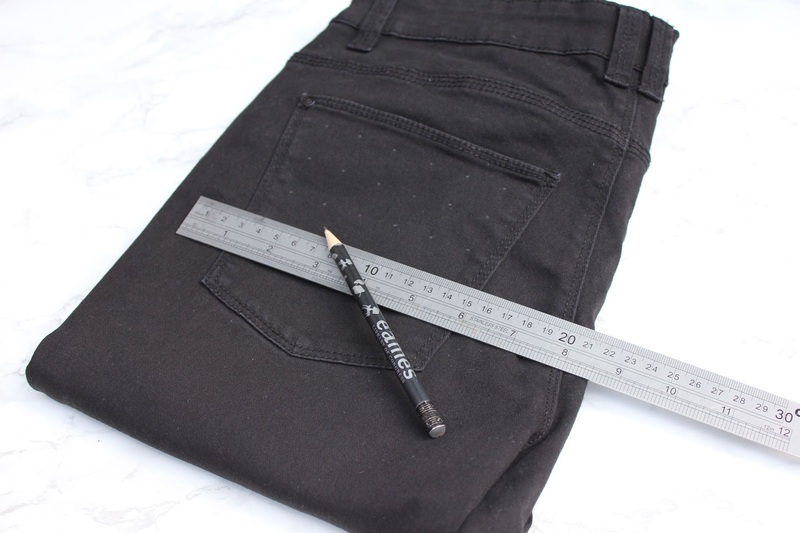 If you want to be really precise, you could measure out and mark the crosses onto the denim in the exact size you want. Thread your needle and knot the end of the thread. Bring the thread up through the denim where the bottom of the cross will be and take the thread back through the denim at the top of the cross. 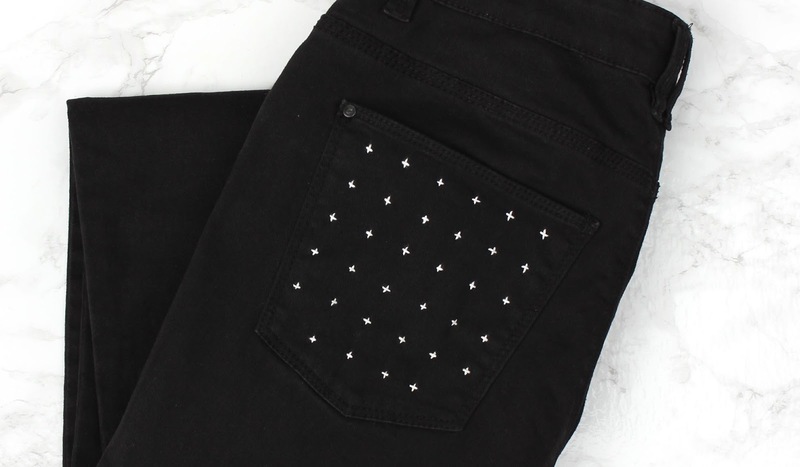 If you are applying the stitching to pockets, it is best if you start with the crosses at the bottom of the pocket and work your way up. Come back through the denim at one side of the cross and back down through the denim on the other side. It will be easier if you make this stitch in the direction of the next cross. 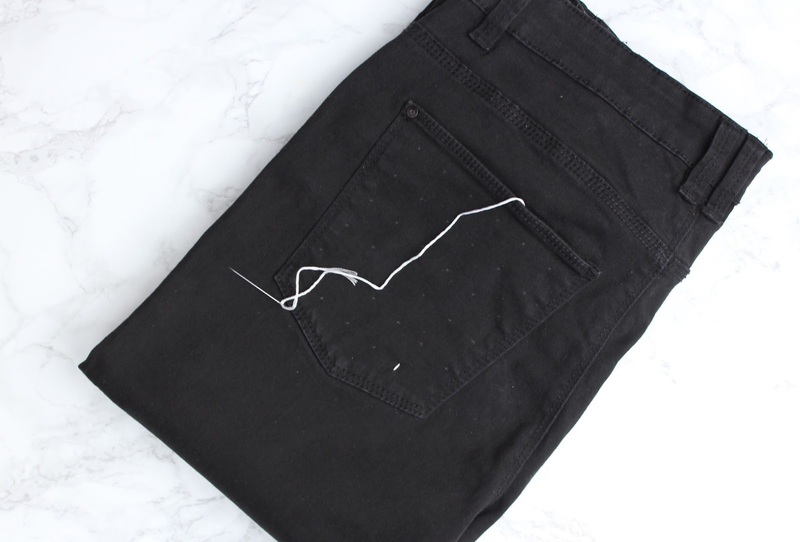 Bring your thread back through to the front of the denim at the bottom of the next cross. 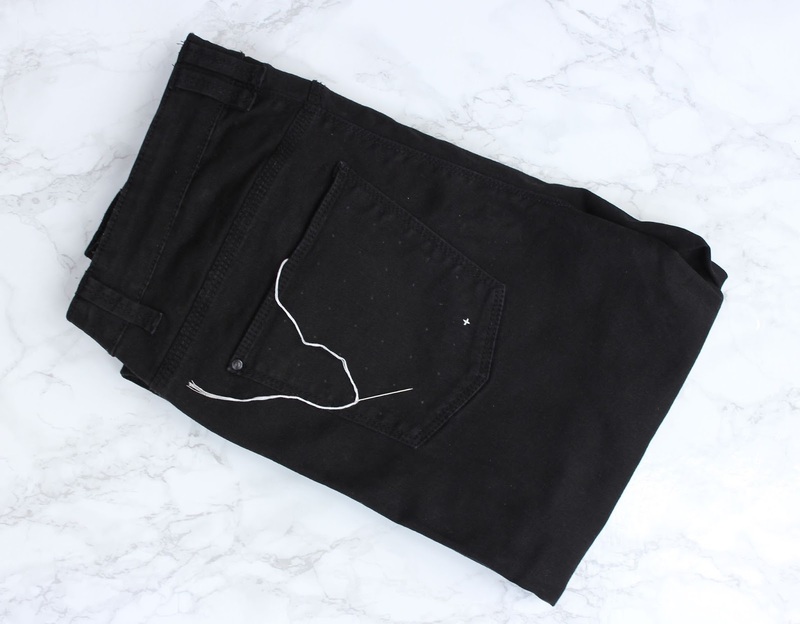 Repeat steps two and three for each cross to finalise your swiss cross jeans update!